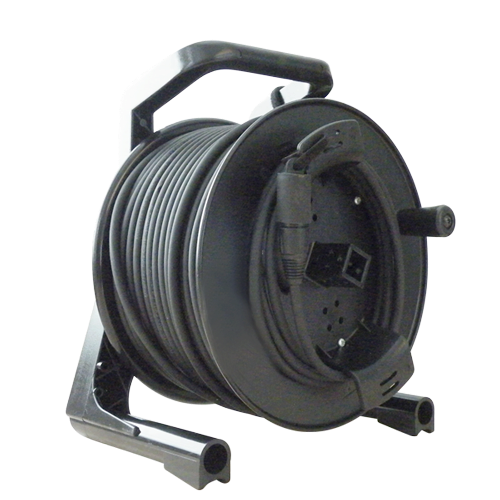 Tour-Grade Ruggedised and Screened Cat5e Network Cable (50 Metre Reel). The KLARK TEKNIK NCAT5E-50M is exclusively designed utilising Neutrik and Schill components, ensuring dependable performance whenever CAT5 based connections are required for mobile pro audio applications. Its ruggedised etherFLEX cable with etherCON connectors ideally lends itself to medium and long cable runs of AES50, Dante, EtherSound, CobraNet, AVB audio networking or general purpose Ethernet remote control.